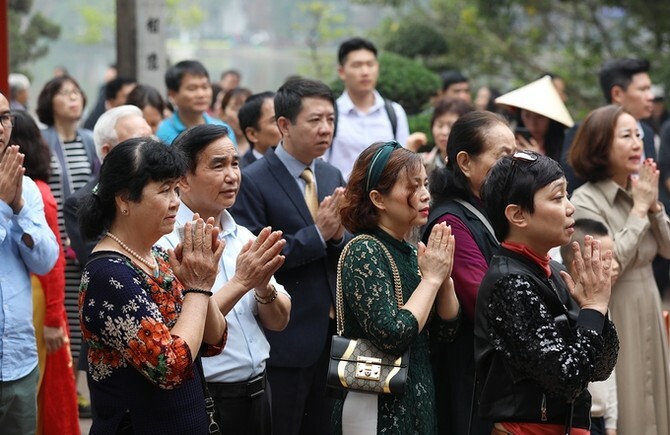 Thousands visited the famous Quan Su Pagoda in Hanoi in the early morning to pray for good luck in the Lunar New Year. 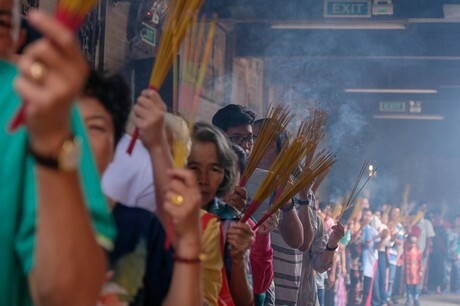 The big bronze jars at pagodas were full of incense sticks. 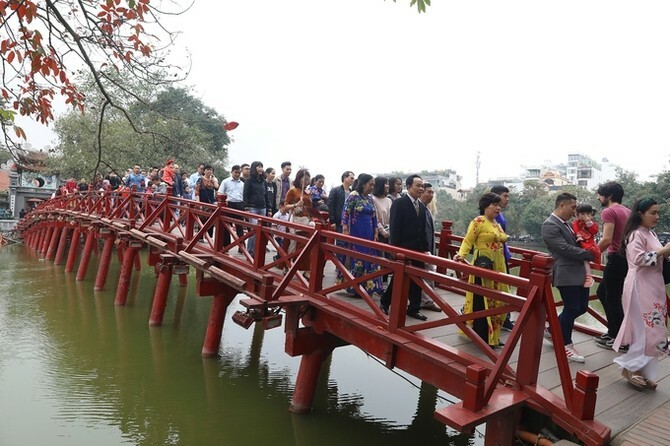 Long lines of people walked on The Huc Bridge to enter Ngoc Son Temple on the Hoan Kiem Lake in the heart of Hanoi. 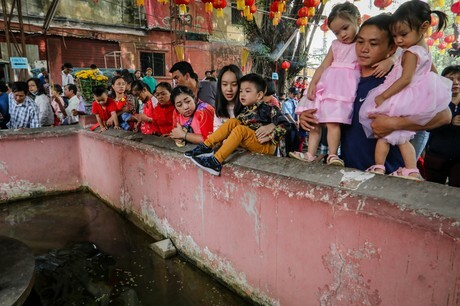 A young girl prays at the Ngoc Son Temple. 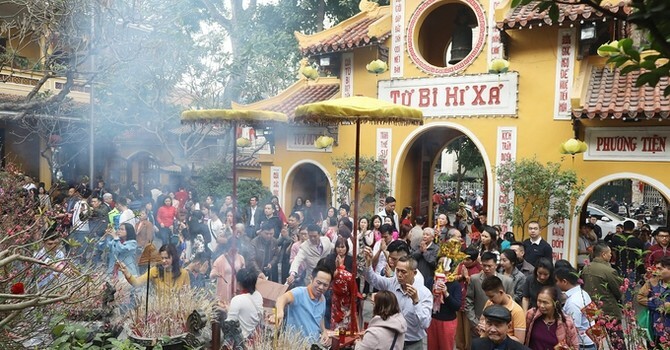 The Phuc Khanh Pagoda was also crowded with devout people praying for divine blessings. 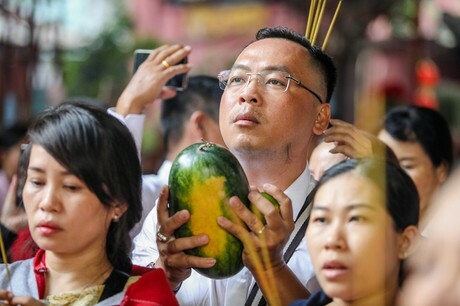 In Ho Chi Minh City, too, people lined up in the thousands in Vinh Nghiem Pagoda to ring the pagoda bell themselves and make their wishes. 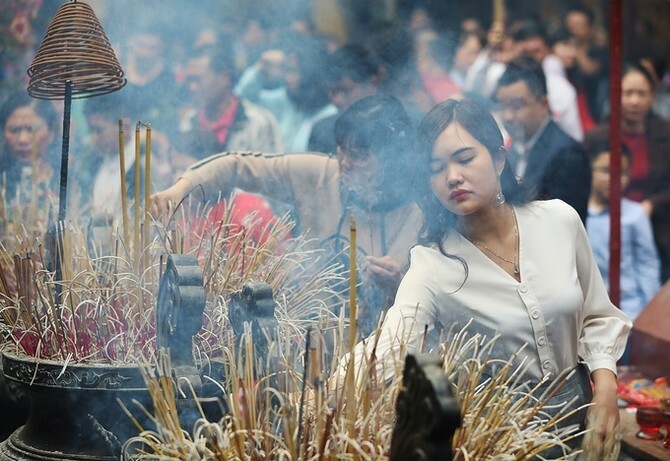 "In the Lunar New Year, the sound of the bell shows the harmony between the sky and the ground. 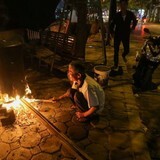 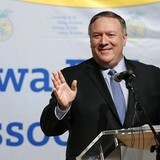 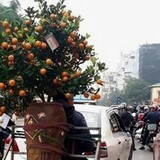 It’s also considered a prayer for all good things to come in the New Year," said 52-year-old Ngoc Lan. 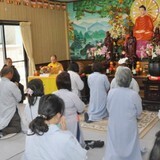 A foreigner joins the prayers, lotus offerings in hand. 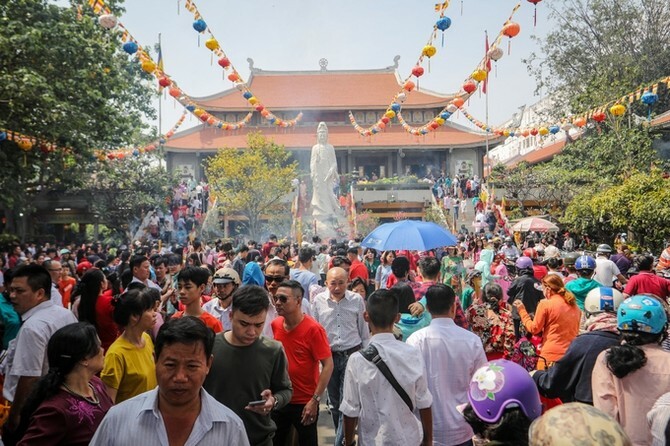 At the Ngoc Hoang Pagoda in HCMC, District 1, it was so crowded that a person could only light three incense sticks. 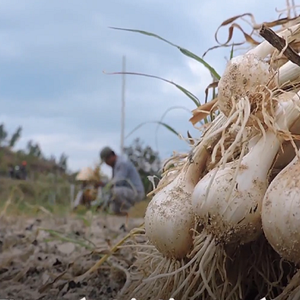 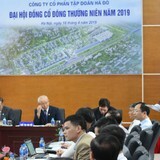 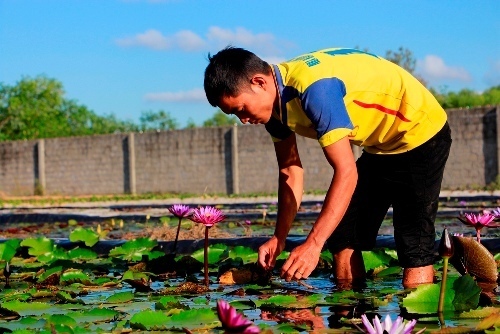 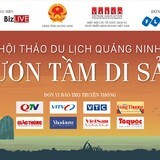 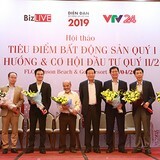 "I come here to wish a good year for my family, with good business," said Ha The Lap of Tan Binh District. 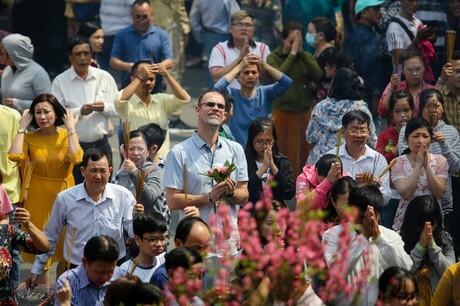 People queued up, incense sticks in hand, for their turn to pray at the Ba Thien Hau Pagoda in District 5.